Credit cards have completely changed the dynamics of the financial world. With just a swipe, these plastic cards can wield more power than one can imagine. Different banks and credit card providers will assess your repayment ability along with other eligibility criteria before approving a credit card. Your creditworthiness is determined by a three-digit number known as your credit score ranging between 300 to 900. The credit score is a reflection of your repayment behaviour. The higher the score, the better your chances of being approved. A good credit score means that you have utilized your credit card responsibly by paying all the bills on time. And that you instil trust in the banks and credit card providers, ensuring them that you can afford a credit card and you will pay your bills on time. Thus, your credit score is a big factor of your credit card eligibility. Age of the applicant is one of the factors that determine the credit card eligibility. To apply for a credit card, you need be 18 years and above. If you are below 18 years with a wish to procure a credit card, you need to either choose an add-on credit card or apply for one with the help a co-applicant. However, not all banks provide this facility for minors. Type of employment is another important credit card eligibility factor that is considered by the banks and credit card providers. The parameters are slightly different for salaried and self-employed individuals. Usually, for salaried, salary slips are required and for self-employed, a proof that their company is in existence for at least a year or so is generally required. Income is given a high priority while considering your credit card eligibility. Your income indicates whether or not you can afford a credit card and whether or not you are capable of carrying the responsibility that comes along with it. Therefore, it is an important deciding factor to determine whether you receive the card or not. Location is also another factor for credit card eligibility as certain credit cards are available in select cities. Also, the credit card benefits differ from city to city. Some credit card benefits work only in Tier-I cities while some others may be applicable to only Tier-II cities. Therefore, banks or credit card providers will consider your location before approving the credit card application. The applicant should be above 23 years and below 55 years old. So, if you are meeting the age limit you can apply for Money Tap Credit Card 2.0. You must have a regular income of minimum ₹ 20,000 per month (applicable to both salaried and self-employed) to get MoneyTap Credit Card 2.0. 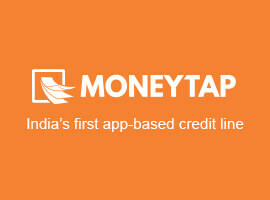 MoneyTap will be available in other cities soon. Why should I apply for a credit card? When used responsibly, owning a credit card can open up a number of doors in personal finance for you. How can I improve my chance of getting approved for a credit card? Get a free copy of your credit report. Check carefully for errors and rectify them before applying for a credit card. Get your delinquent accounts marked as paid as agreed. Ask your credit-savvy spouse to add you as an authorized card user. Apply for a type of credit card that is best for your spending needs and repayment capacity. Talk to the banker personally before applying for your first credit card. The banker can help you choose the right type of the credit card. Don’t apply for too many cards from the same issuer. Can I get approved for a MoneyTap credit card if I don’t have pay slips? What are the most common reasons for getting a credit card application rejected? Your loan balances are too high. There are too many inquiries on your credit report. Your income is too low. You have too many credit cards. You have a recent collection or public record. Your last delinquency was too recent. You have a charge-off on your credit report. You have a thin file or limited credit history. You’re not old enough to get a credit card. You didn’t completely fill out the application. You haven’t been at your current job for long enough. Too soon since you got your last credit card. You have defaulted on a credit card payment a long time back. There are mistakes in your application. When you max out your credit cards. Apply for MoneyTap’s personal line of credit and use funds as a personal loan or a credit card, 24/7 with just a tap on your phone.